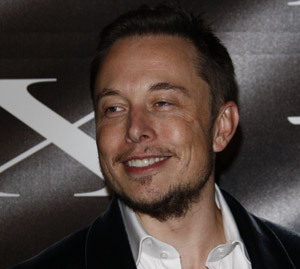 Tesla Motors Inc. (Nasdaq: TSLA) Chairman and Chief Executive Officer Elon Musk has never shied away from the public eye. After all, every other company he is involved with has gone public or has been swallowed up by another publicly traded company. First in 1995, Musk and his brother Kimbal created Zip2, an online business directory and web-mapping service. Compaq Computer Corp. bought the service in 1999 for $307 million, which was then bought by Hewlett-Packard Co. (NYSE: HPQ) in 2002. Then he founded X.com, the forerunner to PayPal. The online banking venture sold for $1.5 billion in 2002 to eBay Inc. (Nasdaq: EBAY). PayPal will split from eBay later this year and become its own public company. As for companies that Musk is currently involved with, there's Tesla, which went public in 2010. He's also chairman of SolarCity Corp. (Nasdaq: SCTY), the solar panel venture run by Musk's cousins, Lyndon and Peter Rive. That leaves SpaceX, Musk's commercial space exploration company he hopes to one day use as a means to colonize space and make humans an interplanetary species. The company is still private, and its budget books are hidden from the eyes of Wall Street. Musk has had to absorb myriad criticisms for the financial troubles of Tesla. For most of its existence, the company has contended with the fact that it is largely unprofitable and a favorite target of short sellers. Its doubters even included 2012 Republican presidential nominee Mitt Romney, who called Tesla a "loser" on the campaign trail. Musk isn't afraid to address his skeptics in a very public way. His aspirations of turning the automotive industry electric, or transforming the U.S. power grid to solar energy, have already been deemed ridiculous and unworkable by no shortage of detractors. So, why not a SpaceX IPO? Why Hasn't There Been a SpaceX IPO?